Price per person. Please contact us for alternative hotels and combinations. Begin your incredible Thailand and Dubai holiday in the bustling cosmopolitan of Bangkok, known for tantalizing your senses in every way. 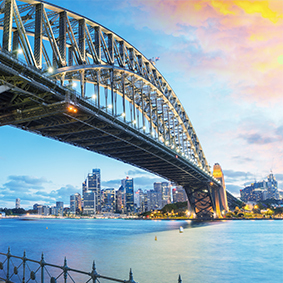 From sightseeing the captivating culture of the dazzling temples and shrines, delicious street food offerings and a plethora of rooftop bars that reach for the clouds. With so much to see and do in Bangkok, you might not know where to start when exploring this incredible city. From dinner cruises on the Chao Phraya river, tuk tuk rides on the busy streets, grabbing groceries on the floating market and taking a detour through the chaotic streets of Chinatown. 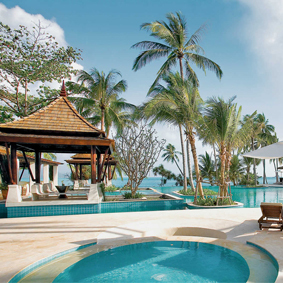 After your exciting city break in Bangkok it’s time to slow things down in Koh Samui. Think of palm fringe beaches, white sandy shores, turquoise lagoon and lush rainforests when it comes to this tranquil island escape off the coast of Thailand. 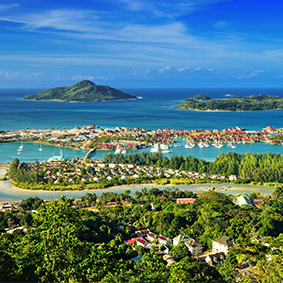 Unwind at the many luxurious boutique resorts on the island where you can enjoy panoramic vistas of the ocean whilst sipping on a tropical cocktail, or turn the volume up on adrenaline and explore the jungles of Koh Samui where you can zip line through treetops, spot the long-tailed monkeys in Ang Thong National Park, explore hiking trails, discover the island by 4×4 drive and much more! 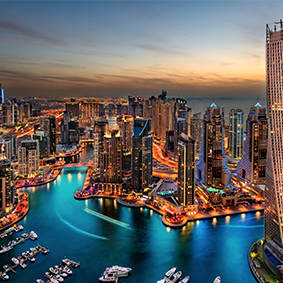 Your last stop will be Dubai, where you can indulge in a little retail therapy, as Dubai is renowned for luxurious shopping malls with designer names as well as its unbeatable portfolio of architectural gems. From the Burj Al Arab to the Burj Khalifa, Dubai aims to give you everything, where you can reach for the sky whilst enjoying high tea at Burj Al Arab, to descending through a tank of sharks in Aquaventure Waterpark and cooling off at Ski Dubai. Whatever your thrill level is, Dubai has something special for everyone to enjoy. Not to be missed activities include a desert safari, a helicopter flight over the city, watching the Dubai fountains, swimming with dolphins in dolphin bay and admiring floral displays at the Dubai miracle garden – just to name a few. Enjoying a superb location in the heart of Bangkok, Banyan Tree Bangkok is an exclusive hotel with sophistication and style. 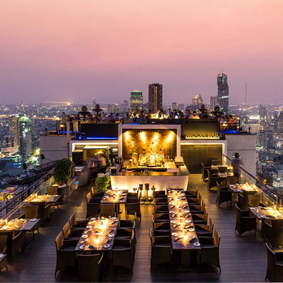 Banyan Tree Bangkok is the perfect city break hotel guests able to enjoy spectacular panoramic views from the hotels own rooftop restaurant alongside its legendary Thai hospitality. Each of the 327 rooms and suites at Banyan Tree Bangkok is elegantly designed and tastefully furnished. There are a number of suite and room types available. Private living room adjoining a comfortable bedroom, bathroom with separate bath and shower, personal aromatherapy burner with essential oils and two televisions deliver a warm welcome to you in Asia's City of Angels. The Banyan Tree Spa provides a sanctuary for the senses, a haven for guests looking for rejuvenation and pampering. Whether relaxing at the roof top pool or exploring the sights of Bangkok, the Banyan Tree Bangkok is the perfect base for your luxury holiday. Choose from 8 speciality restaurants serving international and Thai cuisine to tantalise your taste buds before heading out the vibrant city of Bangkok. Located just 10-minutes from Samui Airport and 15-minutes from the vibrant shopping, dining and nightlife of Chaweng, Melati Beach Resort is the perfect venue for a relaxed beach break, a sensual romantic escape or a soothing spa holiday. 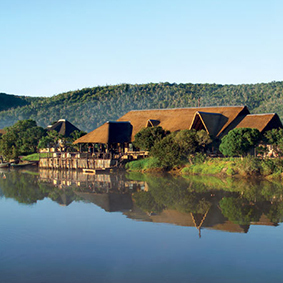 Home to well-appointed rooms, suites and villas equipped with a bevy of must-have modern conveniences, the resort also boasts a superlative spa and other 5 star facilities. If that wasn’t enough, exclusive access to Thongson Bay and its spectacular views ensure you’ll have the vacation of a lifetime. 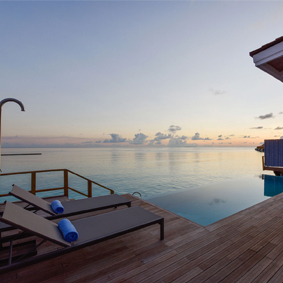 Nestled around the Sanctuary Pool in the heart of the resort you will find these eye-catching 143 sqm pool villas, which consist of a lavish bedroom and living room, as well as a resplendent bathroom with bathtub and indoor and outdoor showers. 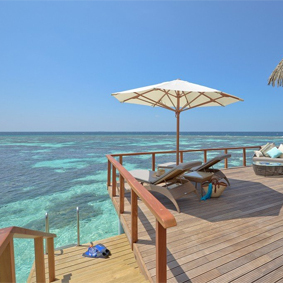 Step outside and you will be greeted by the sight of your own sundeck, sala and glittering private pool, set in your villa’s lush private courtyard. Melati Beach Resort & Spa homes many facilities for you enjoy including an unforgettable spa experience, swimming pools with pool bars, a relaxing library and 2 world-class restaurants, beach bar and lobby bar. Boasting an enviable location just 10 minutes from Dubai International Airport and within easy reach of Dubai Mall and the Burj Khalifa, the Grand Hyatt Dubai stands among 37 lush, well-manicured acres. Home to over a dozen top-notch wining and dining venues, an award-winning spa and a range of other leisure facilities, the hotel has everything you could ever want or need for an enjoyable romantic holiday in this vibrant desert city. There are 674 tastefully furnished rooms and suites at the Grand Hyatt Dubai, as well as 168 residential apartments. Every room is decorated in a chic modern style with exotic Arabian accents. 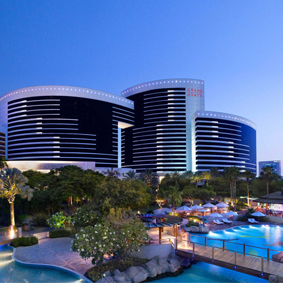 Grand Hyatt Dubai has a plethora of modern facilities including a spa & club, a temperature controlled indoor pool, tennis courts, fitness centre, movie theatre and 13 award-winning restaurants and bars.